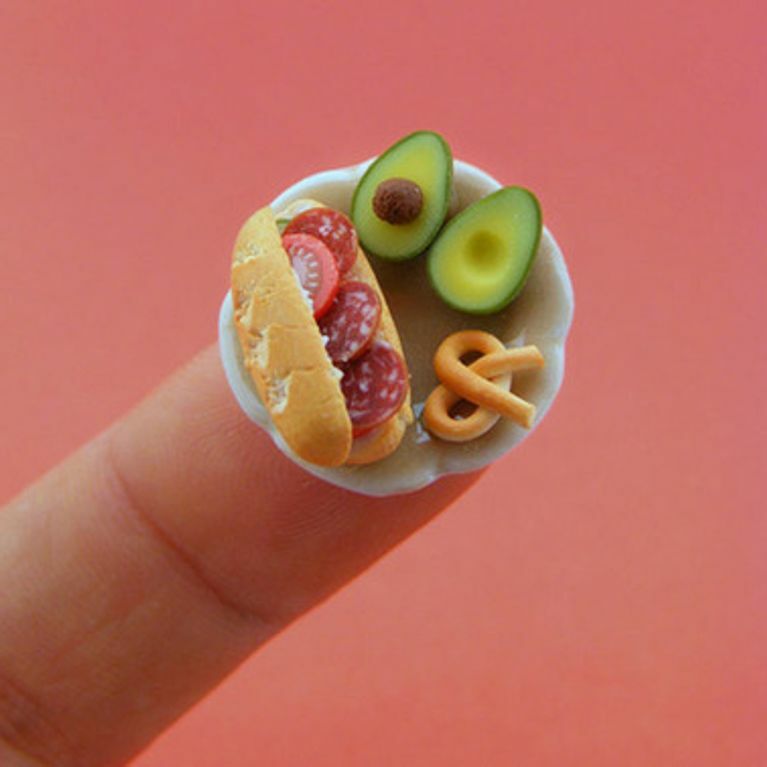 Home / Food and Drink / Healthy Recipes / These Mini Egg-Sized Avocados Are So Cute But Hurry 'Cos They Won't Last Forever! Just when you thought you couldn't be anymore dedicated to your avocado obsession, Tesco go and introduce the cutest little egg-shaped avos we've ever seen. Say hello to the babycado or 'Zilla Eggs' - they taste like an avocado, they look just like an avocado only this lot are half the size, like the Danny DeVito of avocados. They may be horizontally challenged but holy mackerel are they a taste sensation. As humans, we find stupid amounts of joy in small versions of things. Mini golf, mini pancakes, mini burgers, mini Dachshunds... we could go on but we're already salivating all over ourselves and our colleagues. Imagine the collective glee we felt as a nation of impassioned mini-lovers, then, when we heard Tesco were stocking mini avocados or 'Zilla Eggs'. Small avos. Baby freaking avos people. The supermarket has bought 10,000 boxes of the undersized crop from South Africa in a bid to meet growing demand for the fruit. They're also getting innovative with food waste by making use of the fruit that would otherwise have been rejected by growers because of their size. So you could say, they're killing two birds with one avocado stone (sorry). Avnish Malde, chief executive of specialist fruit importer Wealmoor, told The Guardian, "There has not been enough rain and there has been a lot more stress on the crop than normal and so it is that much smaller. We don't know if Mr Malde knows or indeeds cares BUT they are also ensuring our Instagram game is stronger than ever, so take that unicorn floats and Bali sunsets, we have Zilla Eggs for crying out loud. If you were worried about getting less avo for your buck then fear not, because apparently the flavour is more concentrated in the smaller fruit, giving them a lip-smacking sweet and creamy taste. The only bad news is you're gonna need to move it because they're available for a limited time only. Zilla Eggs are available to buy in a box of 6 priced at £2, while stocks last. Are you loving these baby avos? Tweet us @SofeminineUK!